You’re listening to ReachMD and this is Lipid Luminations, sponsored by the National Lipid Association. I’m your host, Dr. Alan Brown, and with me is Dr. David E. Cohen, director of hepatology at Brigham and Women’s Hospital. He’s also the director of the Harvard MIT division of health science and technology and the Robert H. Evert professor of medicine at Harvard Medical School. Today, our discussion is going to focus on pathogenesis and management of nonalcoholic fatty liver disease. Thank you very much for taking time out of a busy meeting to come and speak with us, Dr. Cohen. I had the privilege of hearing at least part of your talk before I had to run over here and get ready for this interview. We all, in lipidology, have this experience of patients having mild liver enzyme elevation. Their doctors often inappropriately stop their statins because of it, and then they get sent for a workup and we see steatosis of the liver, and I think people think of that as just sort of a benign disease. So I was intrigued with how you separated inflammatory disease versus non-inflammatory. 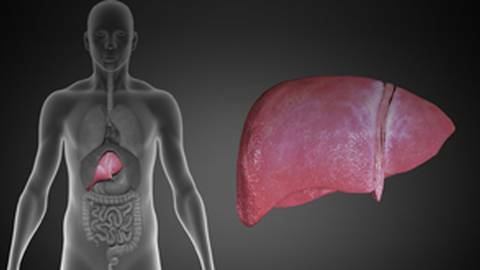 Maybe you could tell us a little bit about the difference between nonalcoholic fatty liver disease and alcoholic fatty liver disease, to start. So, these are good questions, especially because they relate to very common conditions in the population. Nonalcoholic fatty liver disease is really a liver disease defined by histopathology that looks very much like alcoholic fatty liver disease and can be very difficult for the pathologist to differentiate, but it occurs in patients or individuals who don’t drink excess alcohol. We define excess alcohol with certain thresholds, most typically two drinks a day for men and one drink a day for women, and we truly, initially, when nonalcoholic fatty liver disease started to come on the scene in the late ‘80s and early ‘90s, we thought we just must be getting inaccurate histories of alcohol from the patients. But then it became clear that there really was such a condition, and it turns out to be tracking with the obesity epidemic and with patients with the epidemic of diabetes, and it’s really a condition in which fat deposits in the liver due to the same factors that cause those other conditions. So it really tracks along with those factors and then presents an additional problem of what, if any, consequences there are for the liver. So that’s the next question. I think many physicians have a patient that has impaired fasting glucose or a typical metabolic syndrome patient, and they’ve got risk factors for coronary disease, we’re treating them, they get the liver enzymes, as I mentioned, for surveillance on statins and then they go, “Oh my goodness.” They get an ultrasound and it says fatty liver, and then they say, “Okay, that’s all it is, it’s fatty liver,” as if it’s a benign condition. So, you pointed out in your talk, and I’d love you to go through that a little bit with the audience, assuming it’s nonalcoholic fatty liver disease, what should the workup be and what’s the prognosis? Those are good questions as well. So, if we take nonalcoholic fatty liver disease, now there are epidemiologic data to say 20 or 30% of the US or western populations have these prevalences of nonalcoholic fatty liver disease. Certainly, other countries are now rapidly catching up with us as they industrialize. But who, in this population or this large group of individuals, do we actually have to worry about with respect to their liver? And so, if we take all comers with nonalcoholic fatty liver disease, 80% or so will have what we call benign steatosis on their liver biopsy, that is they have too much fat but there is no evidence of inflammation in the liver or concerning features that would suggest that their clinical course with respect to their liver concerns us. Very few percent of those patients will go on to have significant liver disease but on the other hand, the less than 20% will have inflammation associated with fat in the liver and oftentimes fibrosis, and we call that nonalcoholic steatohepatitis, and that’s a separate condition. And those individuals can go on at significant rates to develop cirrhosis and complications of cirrhosis, including cancer, liver failure over time. And so, in a 5 to 10-year timeframe from their diagnosis they can develop significant cirrhosis and then complications at rates of about 30%, a third of those individuals. So, that’s a very important condition to know about from the standpoint of providing care that’s directed at the liver. So, that’s an excellent, clear explanation and I guess what I would take from that, as a lipidologist, is that we probably should be doing more workup on people when we identify them as having fatty liver. Is there a clinical way to determine the difference between NASH or steatohepatitis versus the more benign just fatty liver, or should all these patients get biopsies? How would you guide those of our audience who might pick this up on an ultrasound? So, those are excellent points, as well. There is no current way, short of doing a liver biopsy, to definitively distinguish between nonalcoholic steatohepatitis and simple benign -- what we call benign steatosis. However, there are groups of individuals who are at very high risk for nonalcoholic steatohepatitis that really increase our concern, and the prevalence of NASH in those populations. So, for example, in type 2 diabetics, about half or even three-quarters of those individuals will have nonalcoholic fatty liver disease, and of those, up to 90% of them will have NASH. So if one has a type 2 diabetic patient with fatty liver, there’s a very high likelihood that that’ll be NASH, even without a liver biopsy. So our clinical suspicion is based on the baseline risk of the patient. So type 2 diabetes, morbidly obese, dyslipidemic patients, all have very high risk of having NASH. So, right off the bat, even without doing any further studies, we’re concerned that they have NASH and may have a problem with respect to their liver. So that’s an important clinical history that feeds into our sort of management considerations. Now, there are emerging markers in the plasma that we can send. There are combinations of common tests into algorithms and in risk equations, much similar to cardiovascular risk or risk of fibrosis, but none of these are really sufficient to make management decisions based on NASH. And so, this is a challenge that we’re facing in the field, because it also feeds into our understanding and development of drugs for NASH because if we really need to do a liver biopsy to understand the existence and extent of NASH, that’s clearly limiting in the kind of studies that we can do, but that’s where the state of the art is right now. 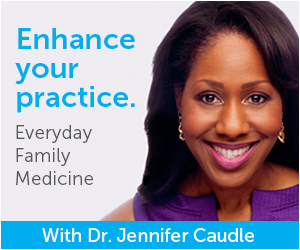 If you’re just tuning in, you’re listening to ReachMD. I’m Dr. Alan Brown and I’m with Dr. David E. Cohen, director of hepatology at Brigham and Women’s Hospital. David, I guess, then, if I were to have a patient that had mixed dyslipidemia, moderate hypertriglyceridemia, glucose of 110, and mild elevation of the liver enzymes, which is a daily occurrence in my clinic, and I always want to make sure I’m not missing anything, so they’re not hypothyroid and they get a liver ultrasound and it shows fatty liver, should I be sending that patient for a biopsy? That’s the bottom line. And if I send them to you, what would you do? So, what we do, which is a very good question here because if you have the prevalence of fatty liver at 30% in the population, and then you have enrichment of NASH in patients such as you’ve just described, certainly some of those individuals are going to have other causes of elevated liver enzymes. And so, one of the things we do on our first evaluation is try to exclude, the best we can, the coexistence of another significant liver disease with nonalcoholic fatty liver disease. So we send our workups for viral hepatitis, hemochromatosis -- common in the population -- autoimmune hepatitis, particularly common in women of the right age, primary biliary cholangitis now, alpha 1 antitrypsin deficiency, Wilson’s disease, thyroid, celiac disease, other things that commonly elevate liver enzymes, and then in the absence of all of them are our clinical suspicion that this is just simply NAFLD goes much higher. Now, those blood tests are imperfect and won’t capture all of the patients with those conditions, so another feature that I try to include as a diagnostic maneuver is to try to encourage these individuals, these patients, to lose at least some weight, because if they lose some weight and we can lower the liver transaminases any appreciable amount, then we can raise our confidence that we’re not missing something. And so, after six months or a year, some individuals can lose some weight, they can normalize their ALT, or at least reduce it substantially, and then we can feel comfortable that we know what we’re dealing with. In the absence of that, so if the transaminases stay high or increase, then we would go on to a liver biopsy. And the objective of a liver biopsy in this instance is really less to document the fatty liver disease, but rather to exclude the coexistence of another condition that would need attention; for example, autoimmune hepatitis, the management is different. But then we usually do get, document the fatty liver disease, we can, in that case, tell whether they have NAFLD, simple steatosis or NASH, and then we can react accordingly. So, what do you think? I mean obviously, we could bombard you with lots of patients like this, and what do you think the actual percentage of those patients that would end up with a liver biopsy would be? I mean, it was striking to me in your presentation, what a high risk the people who do have steatohepatitis have for cirrhosis and for cancer and it made me nervous. I don’t want to miss those people, and my gut feeling was I should probably have more of them get biopsied. But this is your specialty, so when you get those patients—I’m sure you get lots of them—what percentage would you biopsy, and how would you justify not biopsying if you’re not sure whether they have inflammation or not? These questions are also important in practice, and they actually speak to management styles. So, in my practice, actually, remarkably few come to liver biopsy. My main indication for liver biopsy is to exclude these other coexisting conditions which, in the end, are not that many, but can be important and so some patients come to liver biopsy. Most don’t in our current treatment environment for my practice, and the reason is that I do a liver biopsy to find out information that changes my management of the patient. In current management of nonalcoholic steatohepatitis and nonalcoholic fatty liver disease is essentially the same, which is that we need to make any inroads we can into weight loss and exercise; these are the principle mainstays of therapy. We really don’t have reliable pharmacotherapy. There are therapies in development, but those are research settings. And so, any fatty liver, however documented, really feeds into the same management algorithm, which is diet and exercise, therapeutic lifestyle changes, and then managing the components of the metabolic syndrome that are important to all of us, which are cardiovascular disease, which is the major source of morbidity and mortality in any patient with NAFLD, be it simple steatosis or NASH, and hypertension and smoking cessation, increased activity. So, all of these things really are the mainstays of therapy. Now, I do have colleagues that would argue that if you do a biopsy and you see NASH, then you say, “You really have to concentrate on your diet and exercise, because those are really important.” My counter to that is, they’re really important in anybody who has simple steatosis because simple steatosis is almost tantamount to a cardiac risk equivalent, and so that’s just as important in the overall health than trying to argue that NASH is more important than simple steatosis, with respect to the liver. So from that, I would take that the intensity of your followup is basically the same on both. I consider them both, and I tell patients that that’s my approach to that. So the major things that we talk about are certainly diet and exercise and weight loss, and I try to encourage them along that way by telling them that the amount of weight loss that’s required is probably less than they would think. So, it only requires about 10% of whatever baseline that they’re starting at to really have a significant positive impact on nonalcoholic fatty liver disease. So if one loses 10% of their weight, it’s really been shown by biopsy that there are major improvements. And that’s sometimes a little bit easier to hear, I think, on the part of a patient, if they’re 300 pounds that 270 is a real medical target, as opposed to 180 or 150, which would be lovely, but that’s really aspirational. It’s all the same. Yeah. Everything gets better with 7-10%. Yeah. And this is just the same. Unfortunately, we have just a little time left, but I don’t want to leave this conversation with a key point to listeners who listen for lipid information, and that is, are there any safety concerns in a patient who does have fatty liver, where the docs are getting nervous because they have mild liver enzyme elevation? So I think that 3 times the upper limit of normal for removing statins was put into those recommendations for a purpose, so people don’t remove everybody who’s at a cardiovascular risk from statins because of mild liver enzyme elevation, but I have the benefit of having an expert here, so what is your approach to a physician who’s worried about statin therapy? So, that’s absolutely true. I view a lot of, as a very important aspect of my role, is to assure referring physicians that this is safe. And so, statins are safe in patients with fatty liver and other liver diseases, really all the way up to and including patients with cirrhosis that are compensated, so they’re not having clinical complications of their cirrhosis. Lipid lowering therapy, particularly with statins shouldn’t be avoided based on a transaminase number because we really understand now that although statins can elevate transaminases, they don’t do any more so in patients with fatty liver disease than in patients without. And, in fact, really over the long term they tend to reduce the average transaminase values and they may have a positive impact, to an extent, on the fatty liver disease. So really, it’s so important to have that conversation. I tell the referring physician that it’s safe to start, if they’re more comfortable, I’d be happy to start it, and just remind them that this is the liver telling them that they’re at high cardiovascular risk and managing things by keeping them in perspective. Excellent point. Thank you very much. Dr. Cohen, I really appreciate you joining us today on Lipid Luminations. It’s my pleasure, thanks for the opportunity. I’m Dr. Alan Brown and you’ve been listening to Lipid Luminations, sponsored by the National Lipid Association on ReachMD. Please visit ReachMD.com/lipids where you can listen to this podcast, as well as many others, and we encourage you to leave comments and share those comments with your colleagues. Thank you again for listening, and I’m your host, Dr. Alan Brown. Dr. David Cohen shares insights about the origins, diagnostic workup, and therapeutic interventions for non-alcoholic fatty liver disease. Patients in lipidolgy clinics sometimes undergo diagnostic workups for mild liver enzyme elevations, and in select cases a diagnosis of non-alcoholic fatty liver disease will be made. How does this diagnosis compare with the more inflammatory alcoholic fatty liver disease, and what roles should the lipidologist play in response to these findings? Dr. David Cohen, Professor of Medicine at Harvard Medical School and Director of Hepatology at Brigham and Women's Hospital, joins host Dr. Alan Brown to discuss the pathogenesis and management of non-alcoholic fatty liver disease.